These habits only sound toxic but prove actually healthy for a relationship. As an individual of your own culture, you certainly have some parameters on the basis of which you decide which habits are toxic and which are healthy for your relationship. But what you don’t realize is that these traditional narratives, or widely accepted dictums are not always right. There are few traits and habits that don’t fit in our ideal mind-book of healthy habits but are proven elements of a successful relationship. Let’s dig in! The key here is to maintain a non-condescending tone and genuine intent. Being extremely critical of your partner is widely known to be a toxic habit. While it’s true that excessive criticism can be exhausting, but honest criticism, done correctly, can actually be healthy for the relationship. When two persons are in love with each other, they’d want to bring the best person out of each other. Your relationships should constantly help you and support you in becoming a better person. If you ignore incorrect behavior or bad decisions of your partner, your relationship will in fact become toxic. These are two completely different things that are known to happen during a fight but are considered toxic. The truth is, it is okay to yell as long as you don’t do it every other day. When you control your anger for too long, it later comes out in ways you won’t like. So it is often better to yell it all out. In contrast to this, sometimes it’s okay to run away from a fight. It is okay to give yourself and your partner some space and letting the equation cool down a bit. A heated argument can make you say things you do not mean, so it’s actually a mature decision to run away from it for the time being. It is rightly said, “Some battles are not worth fighting”. 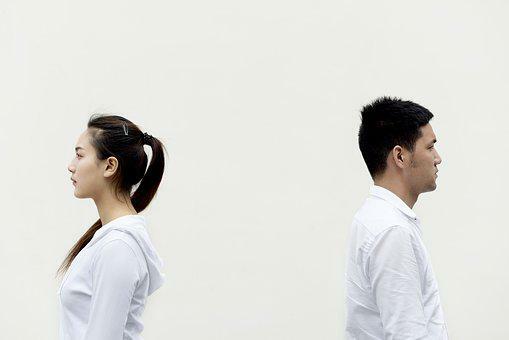 Fights and doubts in a relationship are unavoidable but what you can avoid is to let it destroy your relationship. Saving your relationship does not always mean resolving the conflict. In a successful relationship, the partners understand each other so well that they are in peace with leaving some questions unanswered. They have come in terms with certain shortcomings of each other or certain conflicting issues between them. If the process of solving the fight involves one person changing for the other, it is best to avoid it and let it be unresolved. You love each other and one small disagreement should not have the power to destroy your relationship. In any relationship, judge and introspect the cause and effect of any habits you or your partner has developed. As long as it is giving positive results and keeping your relationship healthily intact, there shouldn’t be a problem!